Wet Naturals Beautifully Bare Lubricant 3.3oz is formulated especially for women by women. 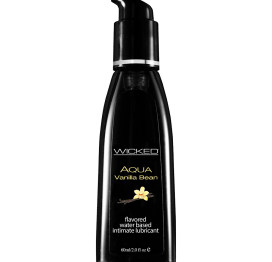 Wet's quality, water based glycerin-free, paraben free blends are designed to enhance a women's natural moisture. Both long lasting and luxurious, they work well for those with sensitive skin. Love your body and bring your fantasies to life! Intimacy should be natural. Both pH balanced and hypoallergenic, these long lasting and luxurious formulas, work well for those with sensitive skin. Love your body and bring your fantasies to life! Available in three unique formulas: Beautifully Bare, Sensual Strawberry and Silky Supreme. Each sold separately. Wet Naturals Beautifully Bare Gel Lubricant 3.3 ounces. Perfect for those with sensitivities to regular lubricants, Wet's Naturals line features three sensual crystal clear formulas free of glycerin and parabens for worry-free play. 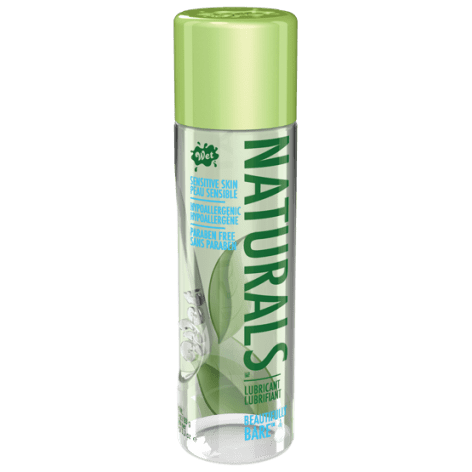 Wet Naturals Beautifully Bare is the ideal choice for those who want their lubricant unflavored, no dyes, and enriched with natural botanical. This sensually slick formula contains skin soothing extracts like grape seed and cranberry for a superior and natural sexual experience. Type Water Based Lubricant. Volume 3.3 ounces. Special features Glycerin free, Paraben free. Water based.